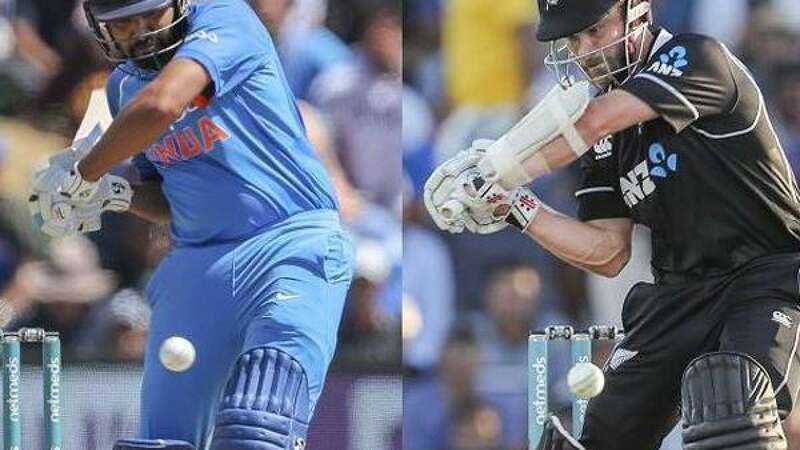 Wellington : A disciplined batting effort from Ambati Rayudu (90) supported by Vijay Shankar (45) and late order heroics by all-rounder Hardik Pandya helped India post 252/10 against New Zealand in the fifth and final One Day International match here on Sunday. After losing four quick wickets for just 18 runs, Rayudu, Shankar and Kedar Jadhav (34) stabilised the Indian innings and then Pandya made a quickfire 45 in 22 balls towards the end and helped India to post a decent score New Zealand's Matt Henry scalped four wickets while Trent Boult took three. Live Score Updates Between India vs New Zealand 5th ODI, straight from Westpac Stadium, Wellington. That was well-fielded by Bhuvneshwar Kumar as he cuts down the boundary. Santner and Neesham take two runs. New Zealand 138/6 in 32 overs. Mitchell Santner is the new man in. He joins James Neesham at the middle. OUT! Chahal strikes again for India. New Zealand lose their sixth wicket. Colin de Grandhomme has been dismissed for 11. Chahal has once again been impressive with bowling figures of 2/30 in 7 overs. New Zealand are 131/5 after 30 overs. They need another 122 runs to win in the remaining 20 overs. At this stage, India were 109/4. FOUR! Back-to-back boundaries for Colin de Grandhomme. Pressure back on India. FOUR! de Grandhomme hits Hardik Pandya for a boundary. Colin de Grandhomme is the new batsman at the crease. OUT! Tom Latham has been adjudged LBW by Yuzvendra Chahal. He is dismissed for 37. FOUR! Jimmy Neesham hits Kedar Jadhav for a four over deep mid-wicket. WICKET! That's the huge wicket! Drag down from Jadhav, Williamson looks to smash this over mid-wicket. Gets a healthy connection but not enough and it's in Dhawan's hands.